Before World War II both Batchford Brothers worked at Jotman’s farm, Jotman’s Lane, Benfleet. After a time spent fighting in India and the Far East, Sidney Batchford spent most of his working life at the Shell Oil Company as a pipe fitter. 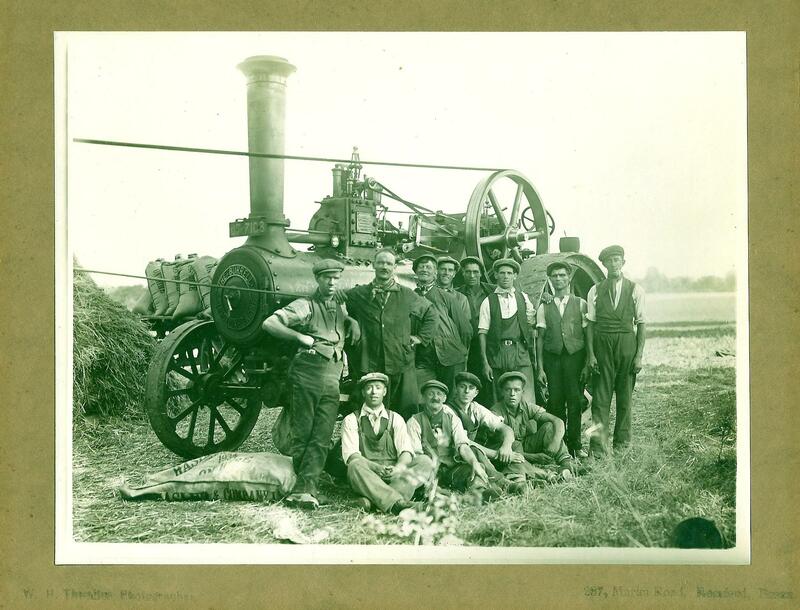 Farm labourers from Jotman's farm with steam traction engine, perhaps they were threshing corn? Thought to be after II World War? 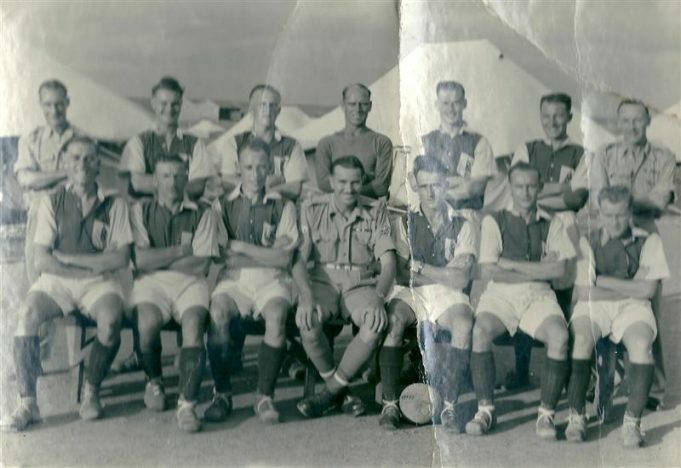 Charlie Batchford second from left, Sidney James Batchford 4th from the left, both in the back row. Army Football team, Poona India II World War. 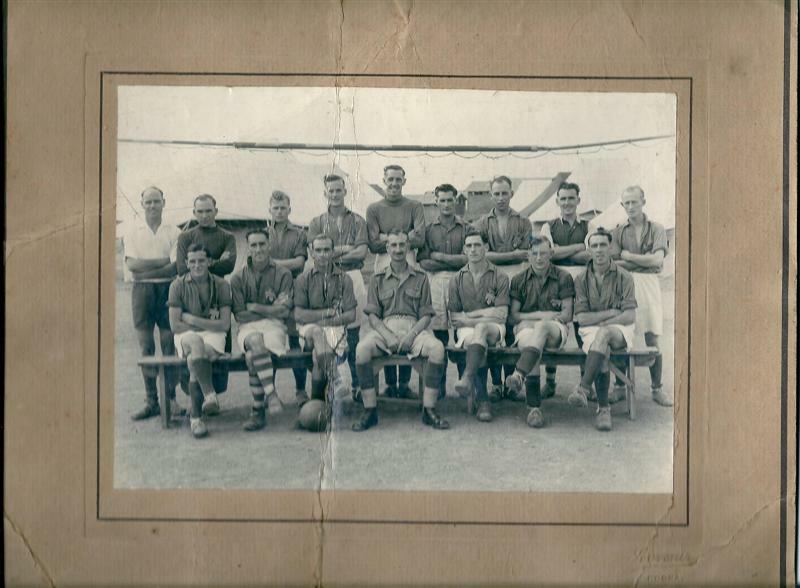 Sidney Batchford in centre in back row. 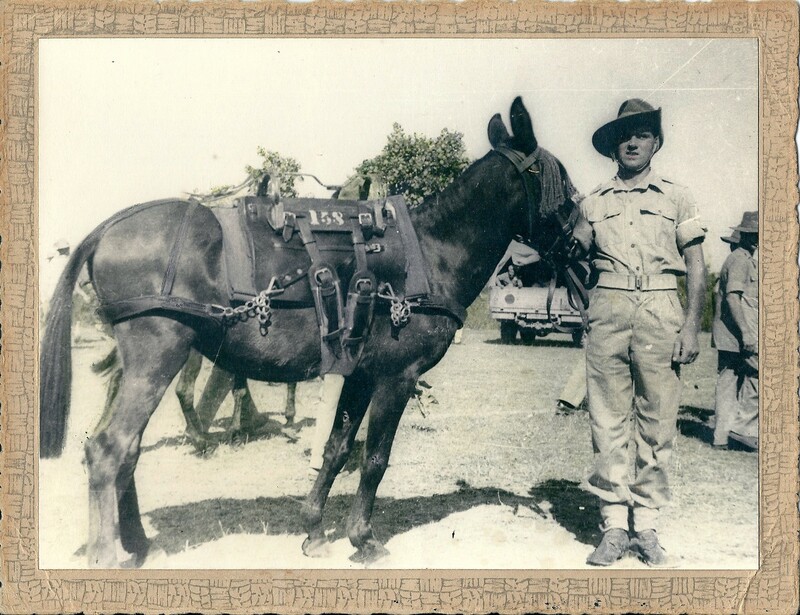 Sidney Batchford in the Far East where he served in the Second World War as part of the Transport Corps. Thanks for checking about the photo – much appreciated. David. I have spoken to Mrs Batchford who has doubled checked the photos and they are of the old fashioned type stuck on to a card background, sadly there are no details of people in the pictures. Sorry – I meant second in from the RIGHT! Hello, are there any names for the men in the 1st Poona football team photo (maybe on the back)? One (first row 2nd from the left) looks rather like my dad, who was in Poona during 1945 and 1946 and played a lot of soccer. I’ve tried magnifying the picture but it breaks up. If you are able to get any more information, I would be grateful.